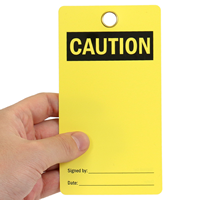 A bold Caution tag can make a difference in your facility. Mark all of your potentially dangerous equipment with an attention-grabbing tag to prevent injury and unsafe practices. • This set includes 25 tags with brass-reinforced eyelets and 25 heavy-duty nylon ties for a complete tag set. 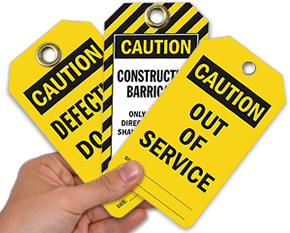 • Two-sided Lockout tags provide a vital message that can be attached almost anywhere. 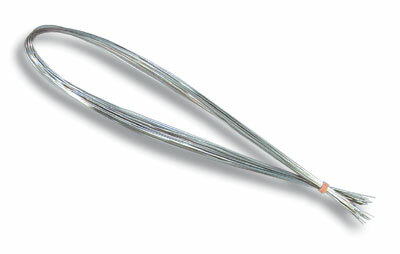 • Choose from a variety of materials to suit the needs of your environment.